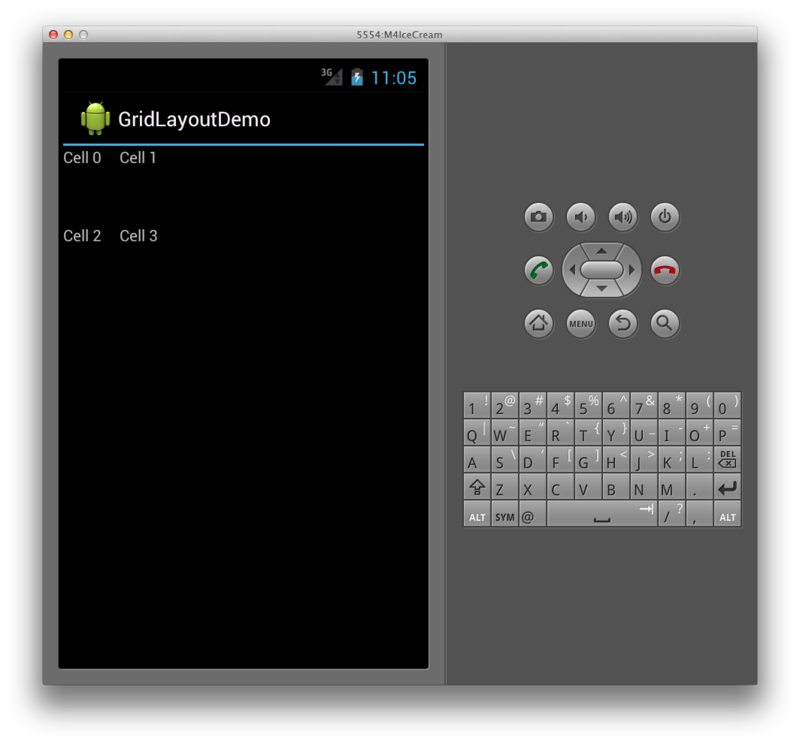 GridLayout works with a flat-view hierarchy, where child views set their locations in the grid by specifying the rows and columns they should be in. 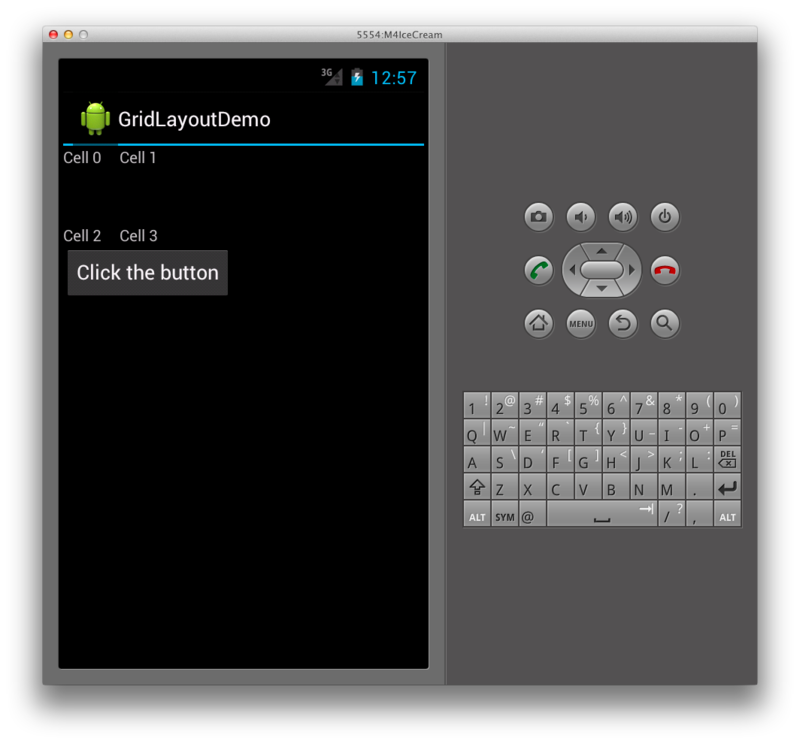 This way, the GridLayout is able to position views in the grid without requiring that any intermediate views provide a table structure, such as seen in the table rows used in the TableLayout. By maintaining a flat hierarchy, GridLayout is able to more swiftly layout its child views. Let’s take a look at an example to illustrate what this concept actually means in code. The following XML adds several TextView controls to a GridLayout. If we want to explicitly control the positions of the child views in the GridLayout, we can set their layout_row and layout_column attributes. For example, the following XML will result in the layout shown in the first screenshot (shown above), regardless of the orientation. The benefit of using the new Space view is that it allows for spacing and doesn’t require us to set attributes on every child view.